The HMS Single Arm Mounting Kit is perfect for tanks that only need a single Hydra LED unit, or if you want to have multiple units without a rail running across your tank. The kit comes with mounting brackets for the FiftyTwo and TwentySix series of LED lights that can slide forward, backward, and also twist within the rails for the ideal position. 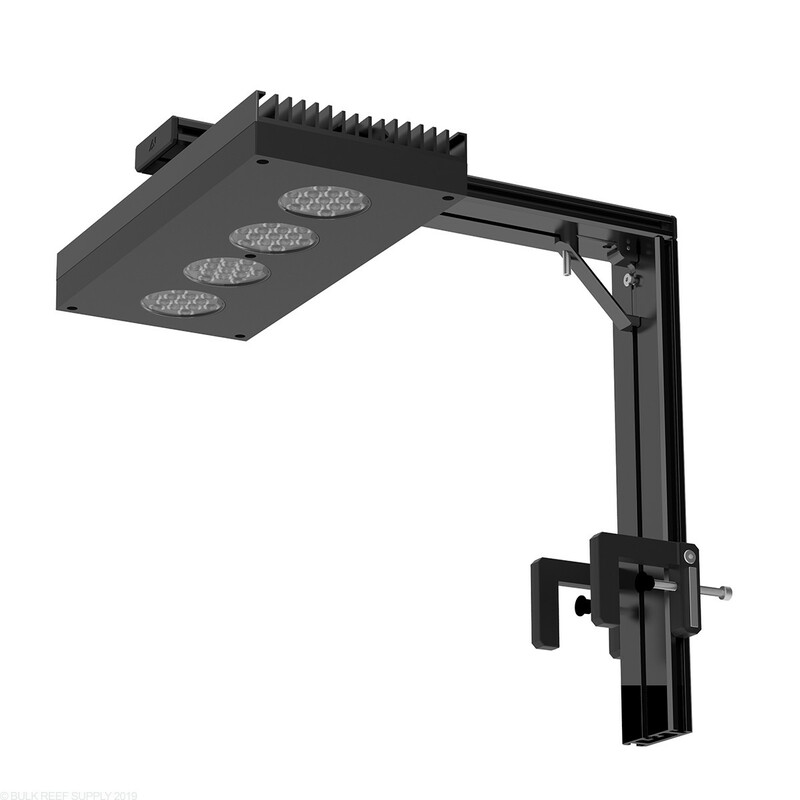 The height of the mounting system can also be adjusted making it a great industrial looking mounting system for the Aqua Illumination Hydra LED lighting systems. Includes brackets for Hydra TwentySix and FiftyTwo Lights. 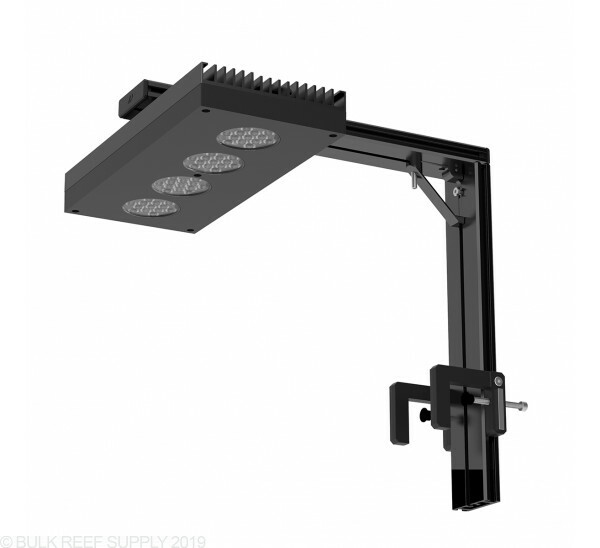 Between the HMS Rails, and the modular mounting brackets for the tank, and the light the HMS Single Arm can be fully adjusted to fit virtually any size tank from 10 gallons and up. Max Rimless Tank Thickness - 1.125"
Note - Designed for rimless tanks and not guaranteed to fit with rimmed aquariums.